I enjoy teaching fingerplays and rhymes to my preschool music classes. They are perfect for developing a sense of rhythm, coordination, and vocabulary, and most importantly, the children love them! If they are having an off-day, and do not feel like singing or playing instruments, this is a great way to engage them again. One saw the jaguar climbing up the tree. The jaguar kept creeping the the under-story, too. The jaguar reached the canopy, up close to the sun. Flapping its wings up in the canopy. The jaguar leaped through the air with a great, big pounce. But the parrot flew away. I wonder? Do jaguars bounce? Chirping at the clouds that floated by. And landed on my shoulder and winked his eye. And didn't know what else to say. I demonstrated this finerplay for the class and then gave each student a chance to hold the puppet and say and act out the rhyme with me. The preschool classes are small, so it worked out well. They all liked this rhyme so much that the students watched attentively while each one had their turn with the puppet. This sounds so perfect for preschoolers! 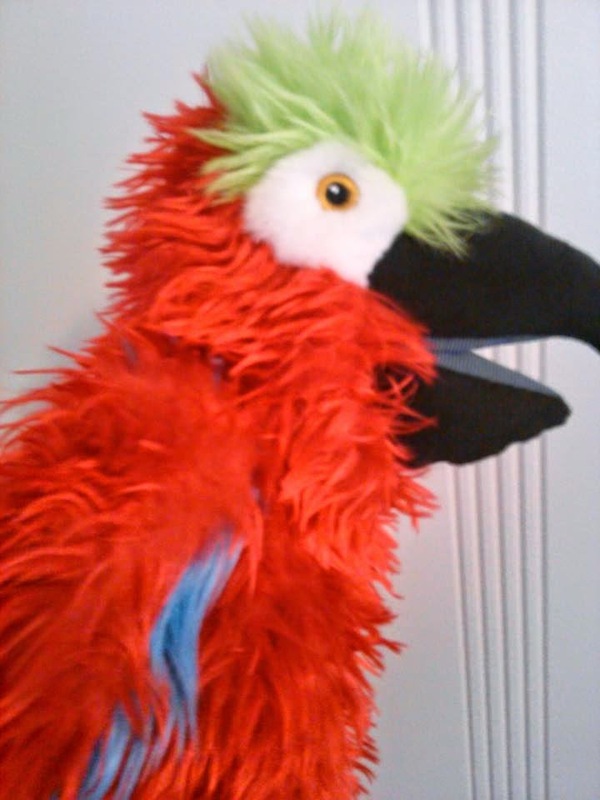 I have great success with any kinds of puppets or stuffed animals to engage that age group as well!